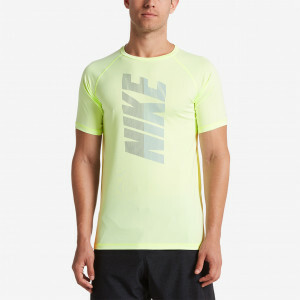 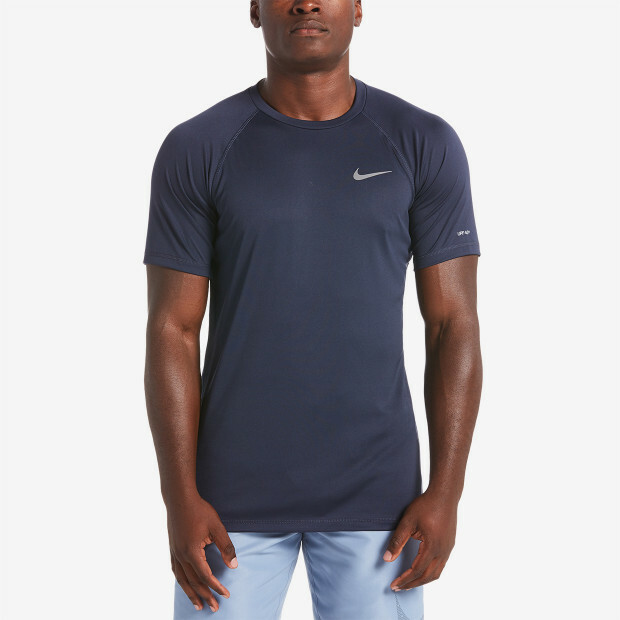 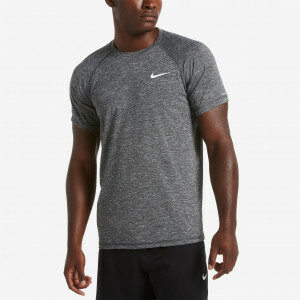 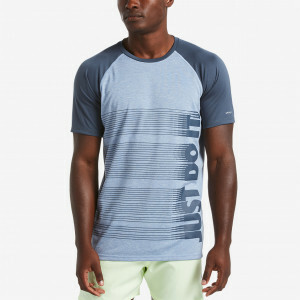 Nike Swim Men's Solid Short Sleeve Hydroguard provides ultimate UV protection in a comfortable rash guard. 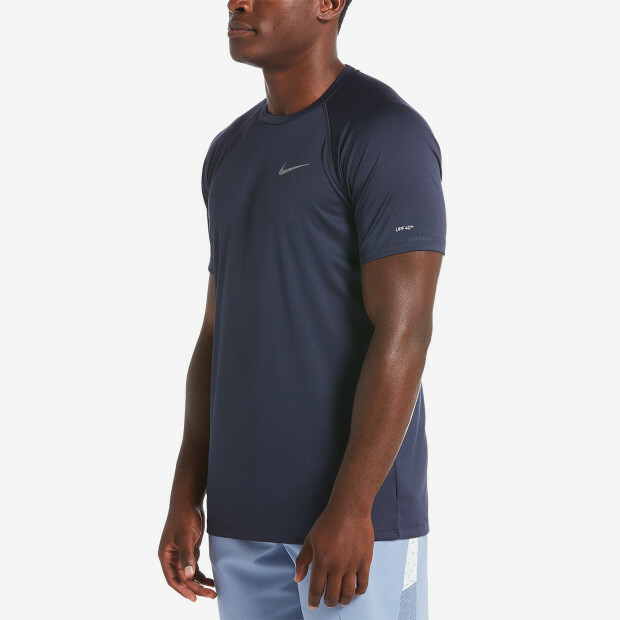 It offers UPF 40+ protection and the Dri-FIT fabric wicks moisture away to keep you dry. 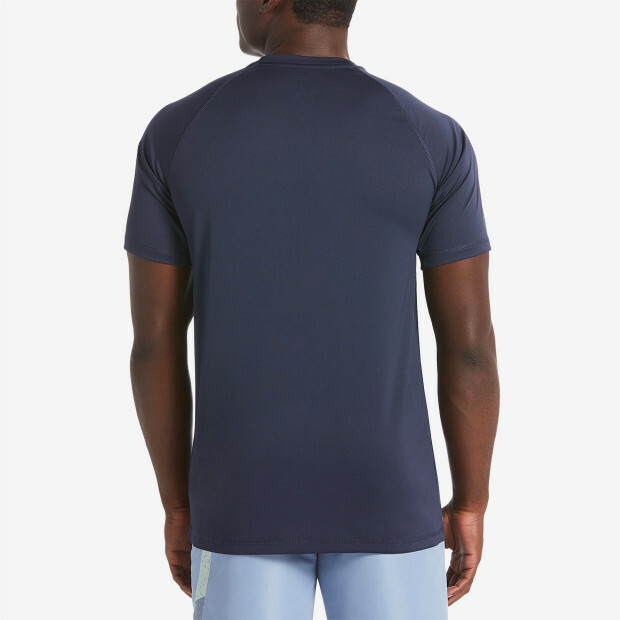 Flat seam construction prevents chafing to keep you comfortable so you can enjoy your time in the sun worry-free.